Reliance today announced its Pro 3 data network with faster speed and affordable unlimited monthly data plan. Reliance Communications (RCom) has launched a new data network, which promises to deliver faster and uninterrupted browsing experience. Called the Pro 3, the new RCom data network gives speeds up to 14.7 Mbps. RCom's Pro 3 data network has gone live in Chennai, Bengaluru, Hyderabad and Pune. It plans to roll out the network in other cities soon. 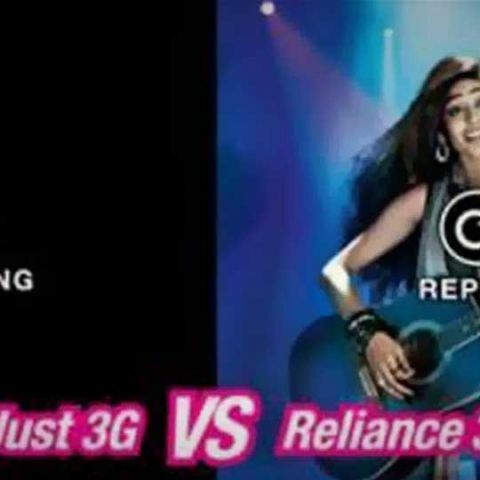 Apart from high speed, RCom is also offering an 'Unlimited' monthly data plan at Rs. 999. However, there's no word on minimum guaranteed speed under the new initiative. Reliance has been focussing on improving its data network for quite some time. It has set up fiber-linked towers to take load of the incremental traffic. “We are delighted to offer the Pro 3 advantage to our customers in these four cities and will launch the same in other key markets, including Delhi and Mumbai, shortly,” Mr Gurdeep Singh, Chief.